Whether you work part time or full time while enrolled in college on a full-time basis, you’ll need to know how to fill out the W-4 form. Every time you have new employment, the hiring team will provide a W-4 form that you have to fill out and return to your employer. This tax form lets the employer know how much they need to deduct from your paycheck for the IRS. Federal employment tax rules apply to each job you have. The IRS requires your employer to get a completed Form W-4, Employee's Withholding Allowance Certificate, from you. Also, in many states you’ll need to complete a similar form for your state taxes. If your state has a W-4 form or something similar, you should also complete that form for each job you accept. Be aware that the new tax bill for 2018 eliminated the personal exemption. 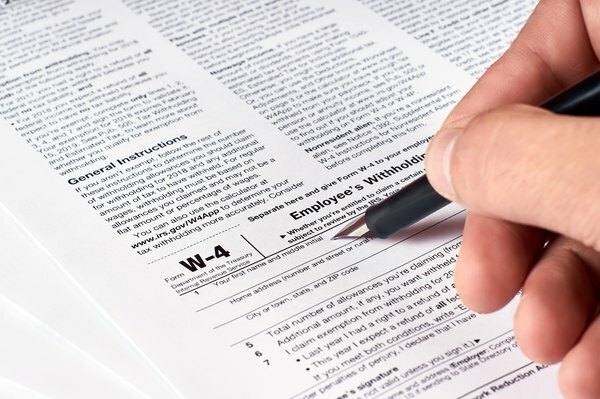 If you relied on instructions from 2017 or earlier when filling out W-4 forms for any current jobs, revisit the number of your claimed allowances to ensure that each W-4 form complies with the current tax laws. First, gather any supporting documentation you may need to fill out the W-4 in its entirety. That will save you from having to go back and forth with your onboarding paperwork for your new job. Possible documentation includes your tax forms for the previous year and your Social Security card if you don’t have your Social Security number memorized. Put your first name, middle initial, last name and full home address in the first sections of the W-4 form. Next, carefully print your Social Security number in the third section. Place a dash between the third and fourth numbers and between the fifth and sixth numbers of your Social Security number when writing it down. Those dashes aren’t mandatory, but they do help with readability. If you changed your name since you were issued your Social Security card and haven’t yet changed it in the system, check the box in the fourth section and call 1-800-772-1213 to get a replacement Social Security card. In the third section, choose whether you are single, married or married but withholding at the higher single rate. The fourth section is where things can easily get tricky for a full-time student. Before you try to fill out this form, complete the Personal Allowances worksheet that should be attached to the W-4 paperwork your employer gave you. It is located on page three of the 2018 W-4 form pack. You may also use the IRS withholding calculator. This handy tool offers significant W-4 form help to ensure you have the right amount withheld from your paycheck. When using the Personal Allowances worksheet, do a little research before filling out line C if you are considering filing your taxes with the head of household status. Understand that head of household status doesn’t simply apply to anyone who is single or otherwise in charge of his personal household. This is a specific term as far as the IRS is considered. You can only claim the head of household allowance if you are unmarried and pay more than 50 percent of the expenses involved in keeping up a home for yourself and a qualifying individual. If you’re a full-time student with a family of your own, consider whether you qualify for the child tax credit and the credit for other dependents. Line G of the Personal Allowances worksheet is significant for many students. This is where you may be able to reduce the tax withheld from your paycheck because of tax credits for education and child care expenses. Keep in mind that you can leave this blank even if you think you qualify for a W-4 student exemption. That way, you will possibly receive a bigger refund when you file your taxes and not risk possible penalties for underpaying your taxes. Although a student tax exemption may not be obvious on your Personal Allowances worksheet, you may be able to deduct certain costs and expenses as a student when you actually go to file your taxes. If you are going to itemize your deductions, fill out the Deductions, Adjustments, and Additional Income worksheet that can also be found on page 3 of the Form W-4 tax packet. If you are working multiple jobs in addition to your status as a full-time student, you need to fill out the Two Earners/Multiple Jobs worksheet that is on the fourth page of the Form W-4 tax packet. This worksheet requires data from the Personal Allowances worksheet, so be sure to complete that first. You’ll also need to gather your recent paystubs or other documentation of your earnings from all your jobs. If you are worried about being on the hook for additional taxes when you file, and you have a difficult time saving money, you may opt to ask the IRS to withhold additional money with each paycheck. If so, enter that amount in the sixth section of the W-4. It’s also a good idea if you think you might be underpaying your taxes for any reason. If you underpay, you may be subject to underpayment penalties and interest when you file your taxes. The seventh section of the W-4 deals with being exempt from tax withholding. Although a popular myth says otherwise, full-time students are not automatically exempt from paying federal income taxes. 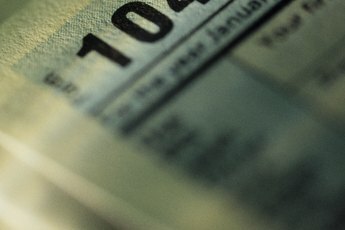 Instead, if you are a citizen or resident of the U.S., the factors that determine whether you pay taxes include your status as a dependent on someone else’s tax return, how much you earned or didn’t earn in the tax year, your age and your filing status. Even if you think you may be exempt from paying taxes for any of the above reasons, your employer is likely to still want you to fill out a W-4 form upon being hired for a new position. When filling out a W-4, you may wonder if you can possibly claim exemption from withholding altogether. If you are blind or will be claimed as a dependent on someone else’s tax return, explore all your options under Exemption from Withholding in Chapter 1 of Publication 505, Tax Withholding and Estimated Tax. The same should be done if you plan to itemize your tax deductions or claim dependents. If in the previous year you got a refund of all the federal income tax that had been withheld because you didn’t have any tax liability and have good reason to expect the same thing to happen this year, go ahead and claim exemption from withholding for the current year. However, you may want to discuss your specific situation with an accountant before deciding whether to claim exemption. Be sure to explain your status as a full-time student if so. If you are exempt, leave the fifth and sixth lines blank on the W-4 and write “exempt” on the seventh line. If you are not exempt from withholding, leave the seventh section of the W-4 form blank. Keep in mind that the exemption is only good for a single year. You’ll need to submit a new W-4 form to your place of employment by February 15 each year that you qualify in order to continue the exemption. When filling out Form W-4, be aware that the Tax Cuts and Jobs Act created massive changes to tax law that affects the W-4 for 2018. The elimination of personal exemptions means that you may need to re-examine how you have filled out the form in the past and make different choices. Starting in 2018, there were reduced tax rates and increased standard deductions. For 2017, the standard deduction for single taxpayers and married ones who chose to file separately was $6,350. For married couples filing jointly, the standard deduction in 2017 was $12,700. 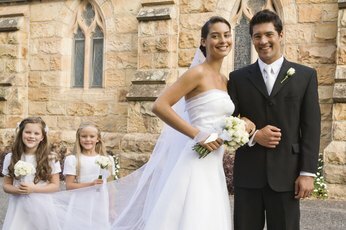 As of 2018, the standard deduction for single taxpayers and married ones has jumped significantly to $12,000 for singles and married people filing separately. The standard deduction for married couples filing jointly is $24,000 starting in 2018. Finally, keep in mind that the IRS suggests that you fill out a new W-4 form every year or anytime your personal circumstances change in a way that may impact your tax responsibilities. 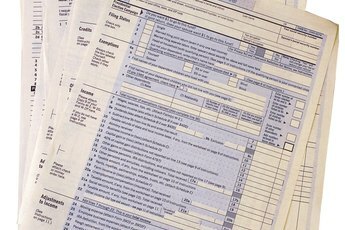 You may get a new W-4 form from your employer or directly from the IRS website. If you need any W-4 form help, it’s OK to ask for it. Your employer should be able to answer basic questions, and the IRS has many local offices called taxpayer assistance centers where you may also be able to get help. Use the IRS withholding calculator tool on the IRS website to see how many allowances you should claim. At any time, you can complete a new W-4 form and give it to your employer if you need to change your allowances. There is no limit to the number of times you can do this.